RightSize™ Premium Treadmill Mat is the only equipment mat that is sized perfectly for the smaller footprint of office treadmills, not large gym equipment. Never sticking out far beyond your treadmill, it will pose no tripping hazard or create an eyesore in your office or home. Protect your floors and prolong the life of your treadmill using the heavy duty rubber mat made of 100% recycled tires. 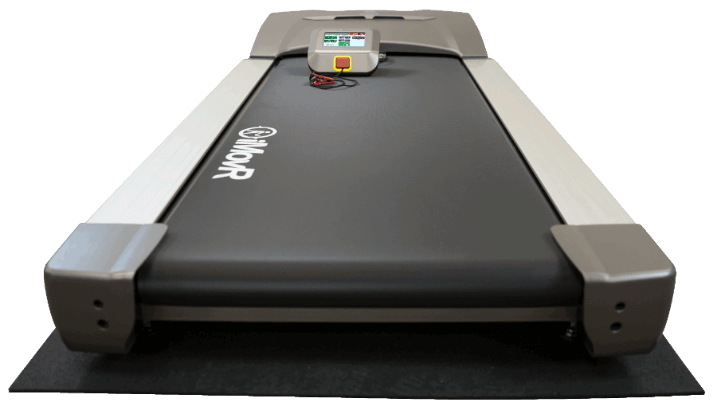 The RightSize mat keeps all four feet of your treadmill off the ground while leaving a short "tail" at the back end of the treadmill to make it easy to clean out the dirt, brought in on the bottoms of shoes,that rolls off the end of a treadmill. No chemicals are required to keep this mat clean—just use a damp rag, or soap and water at most, to keep it looking like new. Typical equipment mats are only two or four millimeters thick, tear easily, and are usually too large for your walking treadmill. Compare that to the RightSize Premium Treadmill Mat’s six-millimeter thickness and you can see why the thicker RightSize Mat offers superior durability while protecting your floor better. Unlike low-priced imported mats the iMovR under-treadmill mat is made out of 100% recycled rubber (old tires), not PVC. And it’s made right here in the USA, under strict EPA regulations. That means the RightSize mat doesn’t contain any noxious, environmentally-damaging elements and won’t outgass and pollute your office air. 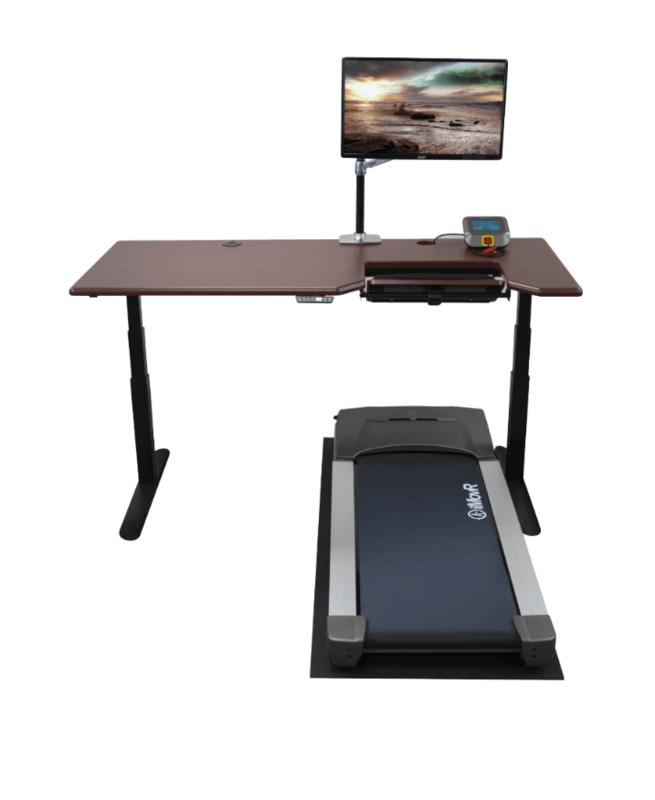 iMovR RightSize Mat is the only equipment mat that is correctly sized for smaller office treadmills, not for large gym equipment. As such, it will never stick out far beyond the treadmill, pose a tripping hazard, or become an eyesore. It is thicker and firmer than the inexpensive competitors you may find elsewhere. That’s because it’s designed to protect your floors and your treadmill equipment much better from dirt and vibration—and reduce noise for both you and any tenants underneath you. Mats that are too soft can introduce torsional stresses on the treadmill frame, which can lead to a host of mechanical problems and shortened equipment life. It’s designed to last a very, very long time. Not having to frequently replace your mat means less hassle, less landfill, and less cost at the end of the day. The iMovR RightSize Treadmill Mat was designed to last, and features an industry-leading 5-year full-performance warranty. The mat is warrantied not only against manufacturing defects but also against edge curling or any other degradation in performance.